Recently Pennsylvania was the 4th state to legalize online gambling to their residents when Governor Tom Wolf signed house bill 271 into state law. Some residents and lawmakers would like to see this bill over turned and the Federal Government make online gambling illegal nationwide. The Restoration of America’s Wire Act (RAWA), is now getting some new-found attention by lawmakers who want to see federal control over states who made online gambling available to their residents. The Federal Wire Act was originally implemented in 1961 and intended to give federal officials the authority to go after top mafia members. In 2011 the US Department of Justice (DOJ) released a memo that stated, “interstate transmissions of wire communications that do not relate to a sporting event or contest, falls outside the reach of the Federal Wire Act.” Since then several lawmakers have been trying to get the Department of Justice to amend the act to cover online gambling. New Jersey is challenging the Federal Wire Act to the Supreme Court in an attempt to legalize sports gambling across the state. The 1992 Professional and Amateur Sports Protection Act (PASPA), currently prohibits states from authorizing sports gambling, sports lotteries or any other wagering scheme based around sports. When originally passed in 1992, the law gave New Jersey the option to legalize sports betting at casinos if it did so within a year after the law was in effect. At the time New Jersey passed on the option but since has tried to legalize sports betting twice but the federal courts each time said it violates the PASPA act. Now they are arguing to the Supreme Court that the PASPA act violates the Tenth Amendment by making states enforce federal law. The Tenth Amendment states “The powers not delegated to the United States by the Constitution, nor prohibited by it to the states, are reserved to the states respectively, or to the people. Non-sport lotteries are legal in nearly every state and in 2014 Americans spent nearly $70 billion on such state run lotteries. Fantasy Football has been growing in popularity and now approximately 70 million Americans play and often for money. Play for money poker games in the privacy of your own home may be illegal in your state. To many people this is the government saying if we can make money on it, it’s not gambling and basically setting a standard that if its not taxed, its illegal. Sheldon Adelson is a Vegas based billionaire casino owner and he recently stated that he is “willing to spend whatever it takes” to stop online gambling. Many people see this as hypocritical since he made his billions off casino gambling. He claims that brick-and-mortar casinos offer protection to their players and that online gambling allows the mentally unstable, minors and gambling addicts to gamble their life and homes away online. Since the New Jersey case has made it all the way to the Supreme Court he has been lobbying to get people to back his agenda and so far, has been doing a pretty good job among select Republicans. Adelson also started and funded over $1 million to his Coalition to Stop Internet Gambling (CSIG), and has pursued state gambling laws across the country. Known for shaping their attack in a moral campaign, CSIG has testified at several hearings that online gambling leads to other addictions and harms children along with a bunch of other unsupported claims. 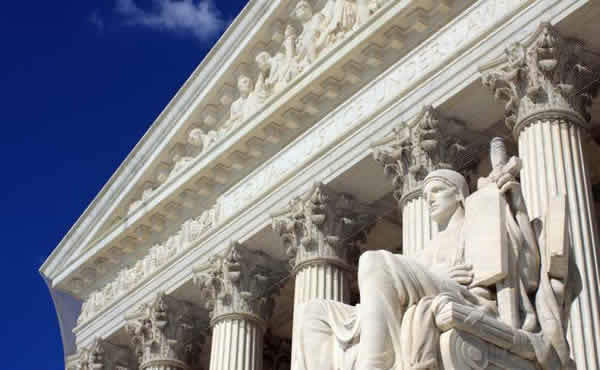 For the rest of us we may be in luck, the Supreme Court has begun to consider overturning the PASPA act. New Jersey claims that their state law neither violates the constitution nor addresses any matter pre-empted by federal law. As of now Congress has not chosen a side but they have prevented states from changing laws and using state resources to enforce a policy for online gambling until they take a side. The Supreme Court’s ruling is anticipated to come in the summer of 2018. There is no doubt that the internet has changed the world dramatically during its short existence and most of us feel truly lucky to be living in this web revolution, but we cannot ban innovation. We used to be the country that would take charge and lead the way but with so many people pushing their own personal agendas and everyone getting offended over every little thing it seems as if we have taken a step back as a country. Online gambling will continue anyways, across the pond and over the internet whether legalized or not, so really the decision is does our government want to collet tax from online gambling or do they just want us to send our American money overseas.